– Quotations from Master Dogen’s Fukanzazengi, in italics. We usually spread a thick mat on the place where we sit, and use a round cushion on top of that. and bow away from the cushion. 4) Sit on the cushion. on top of the hips. 10) Just make the body right and sit up straight. lips and teeth closed, and keep the eyes open. Breathe softly through the nose. 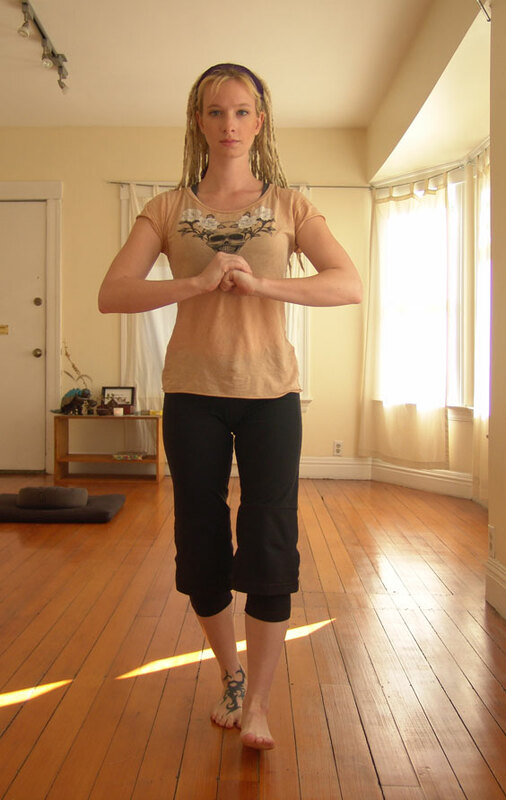 When the physical posture is already settled, make one complete exhalation and sway left and right. Sitting immovably in the mountain-still state, “Think about this concrete state beyond thinking.” “How can the state beyond thinking be thought about?” “It is different from thinking.” This is just the pivot of Zazen. A bell will ring three times to signal the beginning of practice. make a bow towards the wall. left and begin walking slowly. 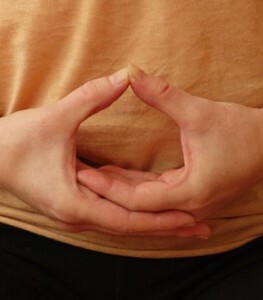 15) The hands are placed as shown. The left hand forms a fist with the thumb inside and the right hand goes on top of it. 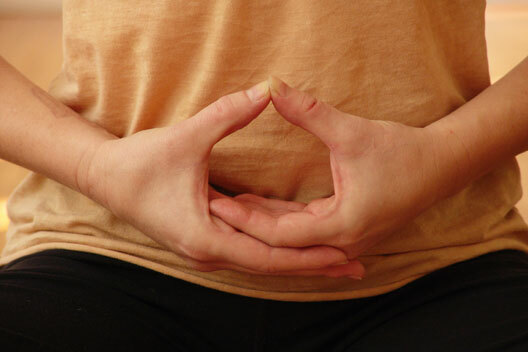 The arms are bent so that the hands meet at the solar plexus. 16) Walk at a pace of about one step per breath. When the bell rings to end kinhin, walk at a normal pace back to your cushion. Always go forward. If you have passed your own cushion by only a small amount you still must walk all the way around the zendo and back to it. Make your bows towards and way from the cushion again. 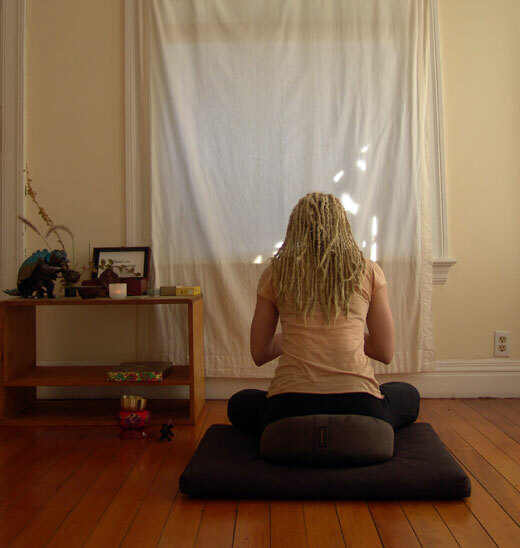 If another period of sitting practice follows, begin again. If the practice is ending after kinhin, wait at your cushion and make a bow together with everyone in the room. Thanks to LizaRose for modelling the postures and Svetlana Dekic for taking the photos! LondonZen.org custom design & install by Amanda Jones.